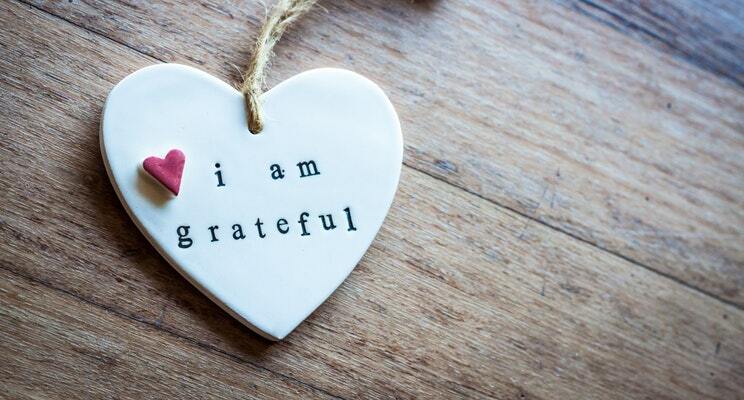 The practice of gratitude as a tool for happiness has been in the mainstream for years. 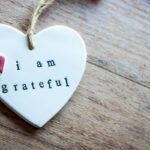 Long-term studies support gratitude’s effectiveness, suggesting that a positive, appreciative attitude contributes to greater success in work, greater health, peak performance in sports and business, a higher sense of well-being, and a faster rate of recovery from some types of illness. But while we may acknowledge gratitude’s many benefits, it still can be difficult to sustain. So many of us are trained to notice what is broken, undone or lacking in our lives. And for gratitude to meet its full healing potential in our lives, it needs to become more than just a word for giving thanks. We have to learn a new way of looking at things, a new habit. And that can take some time. Remember that gratitude isn’t a blindly optimistic approach in which the bad things in life are whitewashed or ignored. It’s more a matter of where we put our focus and attention. Pain and injustice exist in the world, but when we focus on the gifts in life, we gain a feeling of well-being. Gratitude balances us and gives us hope. There are many things to be grateful for: health, family, friends who listen and really hear, a job that you love and fulfills you, a sense of purpose and many smaller things such as chocolate, autumn colours, a spring day, butterflies. So, what’s on your list? Make a gratitude mood board collage by drawing or pasting pictures. Make a point of finding the hidden positives in a challenging situation.